People buy from ... people. That adage may be the oldest one in the book, but it's also the truest. In the case of insurance, it's often viewed as a commodity people have an obligation towards. But for Ihry Insurance of North Dakota, it's about more than being another standard policy people hold. It's about providing people with a sense of security and trust and removing any inkling of obligation. Ihry Insurance is our next Best of Advertising Strategy feature for Leighton Broadcasting. Gary Ihry of Hope, ND was a butcher by trade. In the early 1980's, as a way to supplement his income to support his growing family, Gary began selling life and hail insurance on the side. Well, that side gig turned out to be a pretty good hustle and soon Gary and his wife Mary opened Ihry Insurance in Hope. It was at that point in history the federal government introduced Multiple Peril Crop Insurance (MPCI). Gary's new company became crop insurance experts, promoting coverage and protection to agriculture producers and farmers. Shane Larck is Ihry Insurance's owner today, having taken over from his dad, Gary. "I truly believe branding is a process and we really decided to hit that hard 10 or 12 years ago. We work with several media companies including Leighton Broadcasting. We try to strategize based on the markets and who we're trying to attract. North Dakota is a predominantly Ag-producing state - we also produce oil and wind. 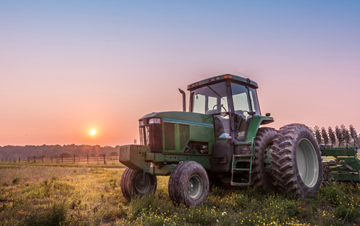 So, our demographic is primarily farmers, and 60 percent of our business is agriculture-based coverage, with all other lines of business representing the other 40 percent," Shane said. He continued, "Knowing that, we try to strategize our branding based on certain geographical locations, times of year, and listener ages. For example, when farmers are busy in fields, we know they might not be listening to the radio. We'll promote water and boating toys in the summer, and lake homes and properties in the spring." Ihry Insurance's AE is Michael McNeal. He talked about how the insurance company differentiates their brand from the rest of the market. "Their belief is people should be important, and people should be protected. It's both that simple and that monumental. Sometimes the insurance business gets a bad rap. We've all heard stories about sleazy sales guys who take advantage of people, take their money, and disappear. Ihry's mission is to be a viable, present part of customers' lives. If there's a claim check, Shane and the guys hand-deliver it. If there's an issue, they've addressed it before you can even call it in." Shane talked about managing a consistent branding strategy not only across all lines of business, but across seven locations as well. “When I was dealing with seven, eight, or nine radio stations at one time it was very cumbersome. I didn’t know how to consistently get my message across. Now, Michael takes care of all of our media buying. 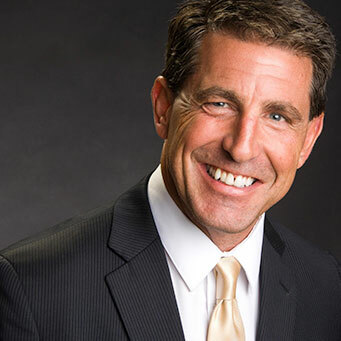 He works directly with all of those advertisers in person – buying media, and getting the commercials produced at the right time. I would say the ease of doing business with Leighton Broadcasting has been huge." Michael concurred. "They were too big and tired of managing all those relationships. We handle all their marketing now - including media buys and production," he said. "One time, I got Shane to sing in an on-air spot. There's a whole lot of trust in that! He gives his brand what it needs to be successful - and that's the frequency and consistency of radio. He understands that strategy and executes it well. He just gets it." Together, Ihry Insurance and Leighton Broadcasting promote and support the local agriculture business in relevant markets. Attending a handful of annual farm shows in Fargo, Grand Forks, and Devils Lake, the two have hosted live remotes, appreciation lunches, and other ways to show gratitude for the work the ag business people do. After all, you're protected and appreciated at Ihry - the company's tagline jingle. 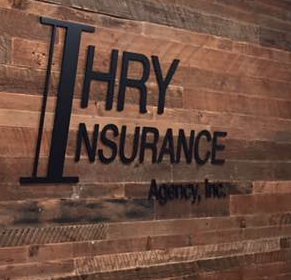 What Makes Ihry Insurance an Excellent Candidate for the Best of Advertising Strategy in 2017? Shane's take on his company's inclusion is reflective of the company's overall mission statement. He said, "Radio branding has made us successful. Along with the great team of people we work with - as well as relationships including Leighton Broadcasting. That's what it's all about. Making valuable relationships, the ease of doing business, and developing our brand."